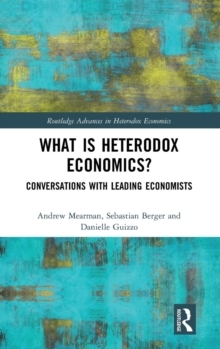 Breaking from conventional wisdom, this book provides an explanation of exchange rates based on the premise that it is financial capital flows and not international trade that represents the driving force behind currency movements. 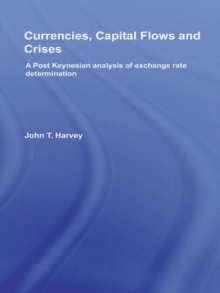 John T. Harvey combines analyses rooted in the scholarly traditions of John Maynard Keynes and Thorstein Veblen with that of modern psychology to produce a set of new theories to explain international monetary economics, including not only exchange rates but also world financial crises. 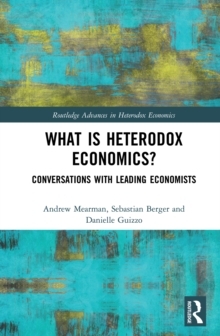 In the book, the traditional approach is reviewed and critiqued and the alternative is then built by studying the psychology of the market and balance of payments questions. 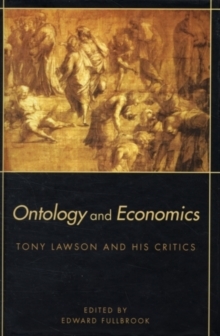 The central model has at its core Keynes' analysis of the macroeconomy and it assumes neither full employment nor balanced trade over the short or long run. Market participants' mental model, which they use to forecast future exchange rate movements, is specified and integrated into the explanation. A separate but related discussion of currency crises shows that three distinct tension points emerge in booming economies, any one of which can break and signal the collapse. Each of the models is compared to post-Bretton Woods history and the reader is shown exactly how various shifts and adjustments on the graphs can explain the dollar's ups and downs and the Mexican (1994) and Asian (1997) crises.